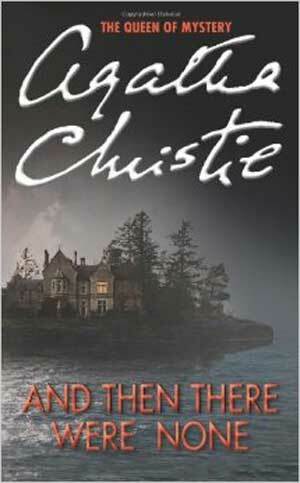 And Then There Were None is a detective fiction novel by Agatha Christie, first published in 1939. In the novel, ten people, who have previously been complicit in the deaths of others but have escaped notice and/or punishment, are tricked into coming onto an island. After their first dinner, once they're all in the drawing-room, a voice reads out a list of accusations against them - each one of them is accused of murdering at least one person, and they have been brought to the Island to pay for their crimes. No one is sure what to make of the recording, until Marston takes a drink - and dies of Cyanide poisoning. Even though the guests are the only people on the island, they are all mysteriously murdered one by one. This is Christie's best-selling novel with 100 million sales to date, making it the world's best-selling mystery and the seventh most popular book of all time.